Pour le cinquième acte de notre nouvel ovni « KÔMMÄ », nous avons choisi de faire confiance à l’immense producteur allemand, Rey&Kjavik qui vient de sortir son sublime album « Mountiri » ainsi qu’au talentueux djs français Raw Main. Rey&Kjavik has a preference for mystical and spiritual soundscapes in an electronic music context. His debut album, ‘Rkadash’, released last year, emphasized the artist’s state of mind and transferred the creativity of this significant chapter in his life to the dancefloor. But in the same pace as time moves on people do as well, hence the producer has spent and wisely used the past couple of months to come to terms with transforming his newly gained impressions resulting in his second studio album, ‘Mountiri’ that will be released in December on his own label RKJVK. 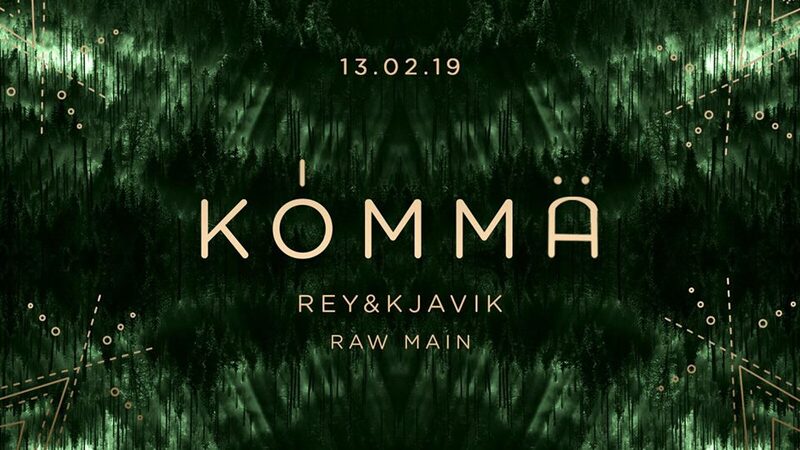 The approach of Mountiri’ differs from his first album as Rey&Kjavik created a concept album that strongly focuses on the flow in the style of a good old mixtape that you can listen to in one go. Musically the artist stayed true to himself and yet created an advanced spiritual and mystical piece of art that highlights his versatility by drawing on oriental vibes and desertic rhythms that come in relaxing, as in the album’s opener ‘Saraswati’ (Mountiri album version), but build up tension throughout the album’s journey and peak with ‘Amaan’ before achieving both, peace and freedom in the soundscapes of the LP’s name giving and closing track ‘Mountiri’. With his second album Rey&Kjavik crosses the frontiers of visible reality being turned into an auditory experience and to become one in the musically experienced moment. Raw Main is a multifaceted artist, musician, DJ and sound designer. He partially takes inspiration from his origins to transcribe his vision of music – which might be Ethnic, electronic or belonging to a completely different genre. Whatever the sound is, Raw Main’s purpose is to take you on a trip, for the duration of a track or a whole set. Forget about samples – he’s all about Live performances. Raw Main has recently released two EPs on Sweet Musique and Lump; both reflect quite precisely the quality of his production, as well as what he has in mind.